If you already have an Espacejeux account, open a session, click on My account, go to My promotions and enter the code in the designated field. If you do not have an Espacejeux account, just enter the promo code in the designated field of the registration form. What happens when I am outside Québec? Persons registered for lotoquebec.com agree to refrain from playing games when outside the province of Québec. Can I let my partner play using my profile? When you register, you agree to take all necessary measures to ensure that no other individual is privy to your username and password. Loto-Québec cannot be held responsible for access to or use of your account. Why should I play on lotoquebec.com instead of on another site that offers games of chance? The website lotoquebec.com is Loto-Québec’s official, legal and secure online gaming site. For more information, see our 10 good reasons for choosing lotoquebec.com. Whenever you place a bet, the system automatically looks first at your Free Bet balance, and if your balance is insufficient, takes the difference from your Espacejeux account. Winnings from wagers placed with Free Bet money are real money winnings. Generally speaking, free bets may be used to play bingo or casino games. To see which games accept free bets, go to My Promotions in the MY ACCOUNT section. How do I enable Location Services on my mobile device? For Apple devices (iPhone, iPad) using iOS, go to: Settings -> Privacy -> Location Services Be sure that Location Services is enabled. In the same screen, share your location for your browser (e.g., Safari Websites). The setting Allow location access must be set at Always. For devices using Android, go to: Settings -> Location Be sure that the option is enabled. I forgot my Username. How can I get a new one? You can only access your username from the web site. In the logon window, click on Forgot Username, then simply enter the email address you used to register. You will receive an email containing your username. In the logon window of the website only, click on Forgot Password, then simply enter your username and postal code. You will receive an email containing a temporary password that you can change after answering your secret question. What is Argent Web, indicated on the Deposit page? I withdrew funds from my Espacejeux account but they have still not been credited to my personal bank account. Is there need to be concerned? Banking institutions can take between three to five business days to process transactions. For your peace of mind, keep the transaction confirmation email that was sent when you requested the withdrawal. How can I deposit funds to my Espacejeux account? 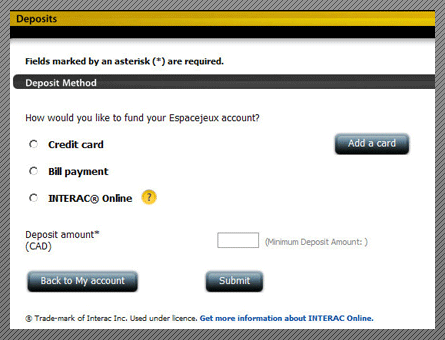 Interac online (from the web site only). My credit card company charges me a cash advance fee when I make a deposit on my Espacejeux account. Why? Cash advance fees and transaction fees are collected by your financial institution in accordance with its own policies and do not depend on Loto-Québec. Since policies differ from one institution to another, we suggest that you inquire about the fees directly with your financial institution. I want to deposit funds to my Espacejeux account using the bill payment option. My bank’s online site is asking for the payee name and account number. Where can I find this information? The supplier name (some banks use the expression “payee”) is Loto-Québec. You can find your account number in the Account Details section of the web site only. How can I withdraw funds from my Espacejeux account? On the web site only, enter your personal banking information and the amount to be withdrawn in the Withdrawals section. This amount will be paid to your bank account. The bank account number I provided when I signed up has changed. What should I do? To change your bank account number, please contact customer service. How much money can I deposit to my Espacejeux account? The minimum deposit is $20. If you wish to deposit less than $20, you can purchase an Argent Web coupon from a lottery retailer; they are sold in $10 blocks. The maximum deposit varies according to the weekly limit that you set. The weekly Argent Web coupon deposit limit is $350. No, nicknames cannot be changed. How can I find a friend who is playing at a poker table? In the poker lobby, simply click on the FIND PLAYER tab and enter your friend’s nickname. Then click on the SEARCH button. You can then join your friend’s table by clicking on GO TO TABLE. Can I view historical information about my played hands? You can consult the history of your played hands if you have downloaded the poker application. Simply open HAND HISTORY in the poker lobby SUPPORT tab. Your historical data is stored on your hard disk. How can I change my table position? Click first on the chair icon then on a position at the table. This selection will change your place at the table, but your position relative to the puck will remain the same. You can store your selection by choosing MENU, then SETTINGS. Then select REMEMBER PREFERRED SEAT. What should I do if the table I want to play at is full? You can request notification when a place frees up by clicking on the WAITING LIST button. You can monitor the waiting list from the Poker Lobby. How do I register in a tournament? It’s easy! Open the poker app and log in to authenticate yourself. Then click on the TABLES tab and either the SIT 'N GO or MULTI-TABLE TOURNAMENTS to see the list of available tournaments. Select one that is in "registration" mode. The tournament will start automatically at the appropriate time. I registered for a tournament but am no longer able to play. Can I cancel my registration, or transfer my seat to another player? Transferring your seat to someone else is not permitted. However, you can cancel and obtain a refund. You can cancel your registration in multi-table tournaments and satellite tournaments up to six minutes before start time and withdraw from SIT ‘N GO tournaments at any time before they start. Your registration fees will be refunded. If you won your seat in a satellite tournament, you will not be able to cancel your registration, since only players that actually paid for their entry fees can cancel and receive a refund. What happens when a tournament is cancelled? A refund policy has been designed for this situation. See tournament refund policy procedures. I won money in a tournament. When will my winnings be credited to my account? In multi-table tournaments, funds are deposited to winner accounts at the end of the tournament. In Sit ‘n Go tournaments, winnings are immediately credited to Espacejeux accounts. Can I play a casino game and a poker tournament at the same time? Yes. There are no restrictions about this. What can I do with my Poker Experience Points (PxPs)? You can use your PxPs to pay your registration fees at specially designated multi-table tournaments or exchange them for tournament credits that you can use to pay registration fees in any multi-table or Sit'n Go tournament you like. Contact customer service to exchange your PxP. Please note that you must exchange a minimum of 1,000 PxPs in block of 100 PxPs. How do I earn Poker Experience Points (PxPs)? You receive one PxP for each 25 cents you contribute to the rake during games at cash tables or during a poker tournament. Where can I check my PxP balance? Your points balance is displayed in the upper right hand window of the Poker Lobby. Is there any difference between the Poker Cash Account and my Espacejeux account? Your Espacejeux account contains money that you can use to play poker and other games on lotoquebec.com. The Poker Cash Account is a virtual account that you can use to purchase poker chips, as long as your Espacejeux account has sufficient funds to cover your bets. What is the percentage rake taken by lotoquebec.com? In cash games, lotoquebec.com generally takes a maximum rake of 5% of pots, up to a fixed limit. In tournament play, the rake taken as an administration fee has a ceiling of 10% of the amount of the player’s contribution to the tournament purse. Can I play from my mobile phone? From your mobile phone, you can get gaming information and make deposits with Visa Debit or credit cards. Sports betting allows you to bet real money with the Mise-o-jeu app and you can, as well, purchase some lotteries with the Lotteries app. The website lotoquebec.com provides the theoretical payout rates. Please refer to the rules of each game. Where can I find historical information on my games? Your game history is available in My Account, under Account History. You can access the description and details of your games during 13 months. Games history of Supercubes and Chain Reactors 100 are available for 30 days. After that, you can request Customer Service to provide you with all the information. Do I need to mark my cards manually as numbers are drawn? The numbers are marked automatically by the computer by default. You may deactivate this function; however, should your card be a winner and you forgot to mark one or several numbers, you would still receive the matching prize. May I purchase cards in advance? Yes, there are two ways to do so. You can use “autobuy” or “pre-buy” buttons. Autobuy enables you to purchase cards for up to 10 consecutive games during an ongoing gaming session that begins upon confirmation of your purchase. Pre-buy enables you to purchase cards up to two weeks prior to the start of the game in which you wish to take part. Note that free bingo and games generated by special promotions might not be available for pre-buy. Can I cancel the purchase of cards after the transaction has been completed? No. When using the “pre-buy” button, the amount of your wager is removed from your account as soon as the transaction is confirmed (however, the wager is refunded if the game is cancelled). Cards obtained using the pre-buy feature may not be changed, cancelled or refunded. When you use the autobuy feature, the amount of the wager is removed from your account as soon as the game goes on sale. However, games can be cancelled as long as they have not yet gone on sale. May I manually select the cards I want to buy? What happens if I win, but I’m not in front of my computer at the time of the win? The prize to which you are entitled will still be awarded to you in accordance with the terms indicated in lotoquebec.com Specific Conditions of Use. The outcome of a game may be validated under the Account History tab in the My Account section. You may even watch the game using the Replay option. Who hosts the chat sessions? You can easily identify the hosts, as their nickname is preceded by the letters “MC” (for “master of ceremonies”). You may interact with them in chat rooms. They are there to entertain you and help you fully enjoy your gaming experience. Get to know emcees. When are updates made to the betting offer? Betting offer and odds can be updated at any time. How can I browse the betting offer of the next few hours? 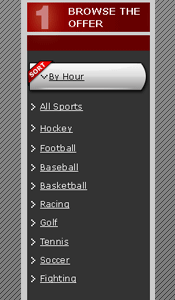 In the Betting Offer section, click on Sort by Hour then choose the sport you’re interested in. The list of available bets is sorted by their respective time limits. The first bets displayed are those whose time limit is the closest. The time limit is the latest time at which a prediction about a question can be registered. The Available Periods zone allows you to select the available bets by time period. Choose one of the 6 periods shown and the betting offer will automatically update. Please note that the offer sorted by hour is a summary that only shows the most popular types of question for the selected sport. How can I browse the complete betting offer for an event? A link located at the right of each question provides access to the complete list of available bets for an event. What is the meaning of the odds? Odds are given for each prediction. The odds determine the potential win on your bet. To find out the potential winnings, you need to multiply the odds on your bet by the amount wagered (subject to the Dead Heat Rule). All predictions of a selection must be accurate in order to win. How are the odds calculated? The odds are calculated based on several factors, including the probability of the prediction being accurate and its popularity among bettors. For example, the lower the probability is of a prediction being accurate, the higher are the odds given to it. Since odds reflect bettor predictions, odds may vary among the various sports bet companies in the world. Odds are made by a Loto-Québec sports bet team of experts, who rely on historical statistics of sports and sales, among other tools. How are potential winnings calculated? Potential winnings are the amount of your wager multiplied by each of the odds associated to your predictions (subject to the Dead Heat Rule). (ex: 1st odds X 2nd odds X wager = Potential winnings). How much does a wager cost? At a Loto-Québec retailer, you can decide on the amount of your wager on a selection slip. This amount can be $2, $3, $4, $5, $10, $15, $20, $25, $50 or $100. If you play online, this amount may vary from $1 to $100, to the closest dollar. You can also generate a bar code to issue and purchase a ticket from a retailer. What is the prediction number and what is it used for? The prediction number is a five-digit number used to identify a possible outcome to a question and associated with a set of Mise-o-jeu odds. These odds are only available from a Loto-Québec retailer. As an example, for a Pittsburgh vs. Montréal match, a Montréal victory prediction could have prediction number 02461 and associated odds of 1.90. If the odds change, so will the prediction number. Also, different odds and a different prediction number would be associated to a Pittsburgh victory prediction. You will need the appropriate prediction numbers to fill out your Mise-o-jeu selection slip that is available at your Loto-Québec retailer. Single bet questions do not need to be combined with other questions in order to be registered as a selection. Only questions identified by an on the web site may be played as single bets. Due to certain aspects of the Criminal Code, not all questions may be offered as single bets. Two types of questions can be played as single bets: those relating to more than one event and those combining two questions in one. For example, the question “Who will win the match and by how many goals” requires a prediction on the winner of the match AND the number of goals by which the match is won. What is a Mise-o-jeu+ exclusive bet? A Mise-o-jeu+ exclusive bet, identified by sign, is a question that is only available on the web site or the mobile app. Bar codes cannot be generated for selections that contain at least one web exclusive type of bet. Why are some prediction combinations not allowed? It is possible that a selection cannot be registered because the sales limit for that selection or for a given prediction has been reached. Other prediction combinations may also not be allowed if there is a correlation between them, that is to say that predictions from a given selection are related, have an impact on one another or are contradictory. For example, for a match Montreal vs. Boston, you could not wager on the questions "What will be the final score of the match?" and "Match winner", because if the prediction "Montreal will win 3 to 1" came to be, the prediction "Montreal wins" would necessarily occur as well. Conversely, if the prediction "Montreal will win 3 to 1" came to be, it would be impossible for the prediction "Boston wins" to occur as well. For more details on correlations, visit the Correlations section. What does the abbreviation SO stand for in hockey and soccer? What is Match Winner-2 way type of bet? For questions of this type, you need to predict the outcome of an event, without any possibility of ties between teams or individuals. For example, in hockey, you would bet on the team you believe will win the match, after any overtime periods and shootouts if necessary. What is Match Winner-3 way type of bet? For questions of this type, you need to predict the winning outcome of an event between the three available outcomes. For example, for soccer, you would bet on the team that you believe will win the match, or on a tie. In this example, the match outcome is determined before any overtime periods and any shootouts. What is Match Winner with spread type of bet? For questions with spreads, Loto-Québec sets out in the Mise-o-jeu Betting offer a number (the spread) used to determine by how many goals (points, strokes or other) a team or individual must beat his opponent for a prediction to be accurate. Except for golf, the favourite of an event is indicated by a negative (-) sign in front of the spread and the underdog, by a positive (+) sign. The favourite is deemed to be the winner if he wins the event by a margin that is greater than the spread. For example, in a match Montréal vs. Boston and where the spread attributed is 1.5 and for which Montréal is named the favourite (by a negative sign), Montréal must win by two goals or more. Furthermore, Boston is deemed to be the winner if: (1) Montréal wins the match by one goal, (2) the match is a tie, or (3) Boston wins the match. The team or individual deemed to have won for this type of bet is thus not necessarily the winner of the event. What is Total type of bet? For questions of this type, you predict whether or not the total number of goals, points or strokes in one or several events will be greater "+" or lesser "-" than the number set by Loto-Québec and specified in the Betting offer. For example: For the question "Total number of goals in the match" for the match Montreal vs. Toronto, Loto-Québec determines that the total number of goals will be 6.5. If the score at the end of the match is 5-3, the total number of goals scored is 8. The winning outcome here would have been "more than 6.5". What is Opposing players type of bet? This type of questions covers performance of players during an event or several events. You have to predict which one of the two opposing players will have the best result. For example: "Who will register the most strikeouts?" How can I register my selection? You can purchase your selection online by clicking on the Purchase Online button. In order to do so, you need to have an Espacejeux account on Loto-Québec's online gaming web-site. Once your transaction has been successfully completed, your selection will be registered. You can print your selection containing your predictions and the corresponding bar code by clicking on the Print your Selection and Bar code button. The bar code will enable a Loto-Québec retailer to register your selection and issue your lottery ticket. You have to go to a Loto-Québec retailer and present your bar code in order to have your selection registered and to receive your lottery ticket. 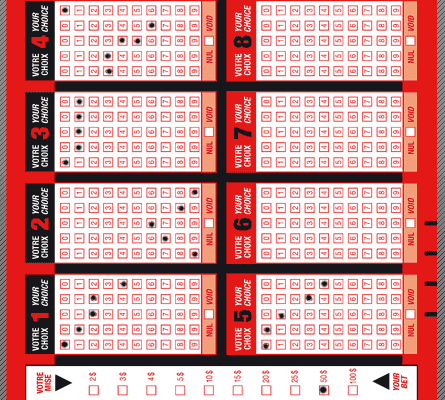 You can also fill out a Mise-o-jeu selection slip, available from all Loto-Québec retailers. You have to mark on the selection slip the 5-digit prediction number for each of your predictions as well as the amount of your wager and hand the slip to a retailer to register your selection and receive your lottery ticket. With Mise-o-jeu, you can purchase your selections online. You must first have an Espacejeux account. To open an account, click on the Register button. You will be redirected to the secure registration form of Loto-Québec's online gaming website. Once you have completed the registration process, you will need to deposit sufficient funds to your Espacejeux account by clicking on the Deposit link before you can play. If you already have an Espacejeux account, click on the Log in button to log on. Identify yourself by entering your Username and Password. Once you have logged in to your account, make your selection and click on the Purchase Online button to confirm your selection and complete the transaction. Once you have successfully completed the transaction, your Espacejeux account will be debited for the amount of your wager, and your account balance will be updated. What is the bar code and what is it used for? The bar code is an alternative to the selection slip. In the Betting offer section, you can print a selection containing your predictions and the bar code by clicking on the Print your selection and bar code button. What is the closing time for registering my bet? 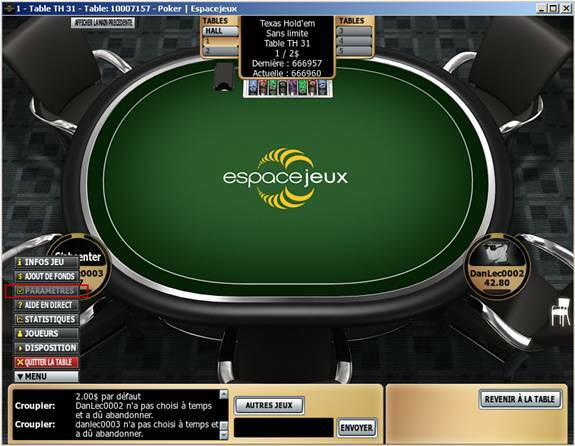 Dates and times specified in the Mise-o-jeu Betting offer in connection with a question indicate the time limit by which a prediction on this question can be registered ("the time limit"). Can I cancel my wager after it has been registered? Selections that are registered through transactions made at a Loto-Québec retailer can be cancelled only within thirty (30) minutes of its registration, but never after the first time limit pertaining to the selection or never after midnight the day of its registration. Selections that are registered through online transactions or by using a mobile device such as a smart phone or electronic tablet cannot be cancelled. What is the game PRÉDICTIONS? Prédictions is a sports pool game that lets you compete against other sports fans in Québec. To participate, get the applicable Prédictions List from a Loto Québec retailer or visit the Gaming Offer. Then, complete a selection slip and present it to a Loto Québec retailer who will issue your lottery ticket. Where can I find information on lotteries available for purchase online? How do I buy lotteries online? The following lotteries may be purchased online: Lotto Max, Québec Max, Lotto 6/49, Québec 49, Extra, Banco (including Banco spécial), Quotidienne, Astro, Triplex, Tout ou rien, Lotto :D, Lotto Hockey, Lotto Poker, Roue de fortune Éclair, Sprinto and La Poule aux œufs d’or express. Extra is also available with some lotteries. Once registration is complete but before playing, you will need to deposit sufficient funds in your Espacejeux account by clicking on the Deposit link. If you already have an Espacejeux account, you may immediately open a gaming session using your username and password. Once connected to your account, click on the Lotteries link in the menu and select the lottery you wish to buy. Make your selections and then click Buy Online to confirm your selections and conclude the transaction. If you have not already opened a gaming session, you will be prompted to do so to conclude your transaction. When the transaction is successfully concluded, your Espacejeux account will be debited in the amount of the wager and your balance will be updated accordingly. How may I claim a prize won online? When the total cash prize won in a single transaction is under $25,000, the amount of the prize is directly deposited in your Espacejeux account. Cash prizes worth $25,000 or more must be claimed at Loto-Québec offices in Montréal or Québec City (Winner’s Payout Centre), or at one of the Corporation’s gaming establishments. Merchandise prices, spots to participate in TV games and annuities must be claimed at Loto-Québec offices in Montréal or Québec City (Winner’s Payout Centre). In each case, customer service staff contact winners directly to explain how to make the claim. How may I claim a free play or a free selection won online? Free plays and free selections won online are automatically issued for the following draw. You may view the free plays and selections for the next draw in the My Purchases section. You may not select or change the numbers on your free plays or selections. Please note that you cannot add Extra to a free play or free selection that has been won online. Consequently, no Extra number will be displayed for that ticket. May I keep the same Extra number for another transaction? No. A new Extra number is randomly generated at the time of the transaction. Are online lotteries available for group purchases? May I change my selections if the draw has not yet taken place? No. Once the transaction is concluded, it cannot be changed or cancelled. How does the Buy from a Retailer option work? Once you have made your selections, you may opt to go to a retailer to buy your ticket rather than conclude the transaction online. Click on Buy from a Retailer and follow the instructions to print a page with a bar code matching your selection(s). You must then present the bar code to a Loto -Québec retailer to record your selection(s) and issue your ticket. You are not required to have an Espacejeux account to use this option. What does the note In progress mean when it is displayed on the My Purchases page? The My Purchases page displays the list of draws in which you are participating that have not yet taken place. On the evening of the draw, the note In progress in the Next draw column indicates that the draw is being conducted. Results are generally available the next morning. How may I check whether I have won? The My Results section displays the list of draws in which you are participating, according to draw date starting with the most recent. For each draw, the Validation Status column indicates whether or not you have won. You may view the winning numbers and the amount of your prize, if any, by clicking on the name of the lottery. You can also sign up to receive via e-mail the results for lottery products you purchased online, for all your online purchases or only when you win. Manage your e-mail preferences on the E-mail notices page in the Lotteries section. What is the My favourites section? Use the My favourites section to save your favourite selections so you can replay them quickly and easily. Note that, if your favourites include one or several Extra numbers, you will keep the same number of Extras, but actual Extra numbers could change, as they are always randomly generated at the time of the transaction. How do I create a favourite? What is the Argent Web coupon sold by retailers? Can I count on lotoquebec.com to keep my personal and financial data confidential? Loto-Québec takes care to respect your privacy and is committed to using the information you provide in compliance with its Policy on respecting and protecting personal information. What software does lotoquebec.com authorize? See our commitment to security and integrity on lotoquebec.com. Why am I not receiving lotoquebec.com e-mails? If you are an e-mail subscriber, it may be that e-mails from lotoquebec.com are being redirected to your spam mailbox. To avoid this, you can add the following addresses to your e-mail contact list: my-account@loto-quebec.com and loteries@loto-quebec.com. Also see your Espacejeux account to check if you entered your email address correctly. My request to change my gaming limits does not seem to have been processed. If you have decreased your playing time, deposit or spending limits, your request will take effect immediately. However, if you have increased your playing time or spending limits, the change will take effect 48 hours after your request is made. If you have raised your weekly deposit limit, the change will take effect after seven days. I requested a timeout from gaming, but have changed my mind. Can I cancel my timeout request? No, a gaming timeout request is irrevocable. I barred myself access to lotoquebec.com, but have changed my mind. What can I do? I set a deposit limit, but the money was not deposited into my account. Why? Setting a deposit limit does not constitute an automatic transfer request, but rather it is a means to establish the maximum amount that you can deposit to your Espacejeux account over a 7-day period (from Sunday to Saturday). How can I evaluate my gaming behaviour? It is useful to evaluate your gaming behaviour in order to ensure that gaming remains a pastime. We have a number of available free tools that foster responsible gaming, including the test your gambling habits, and we do inform you about gaming-related risks.